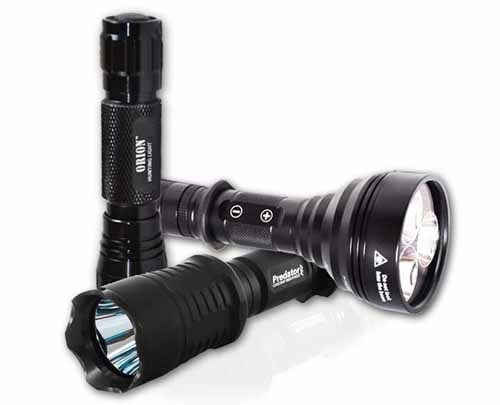 Find predators and varmints at night with ease. 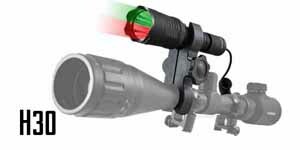 Orion hunting lights use colored LEDs that are undetectable to hog, coyote and other predators, allowing hunters to spot their target without spooking. 100% color LEDs mean your light is brighter and goes farther than filtered light. Each unit is manufactured from aviation-grade aluminum and designed to withstand extreme heat, cold and moisture. Need a mount or batteries? 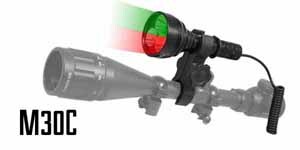 Orion hunting kits have all the accessories you need to get started hunting tonight. 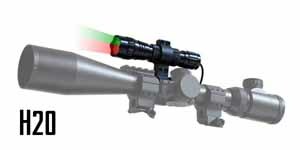 A very focused and bright red LED tactical flashlight specially designed for hunting.